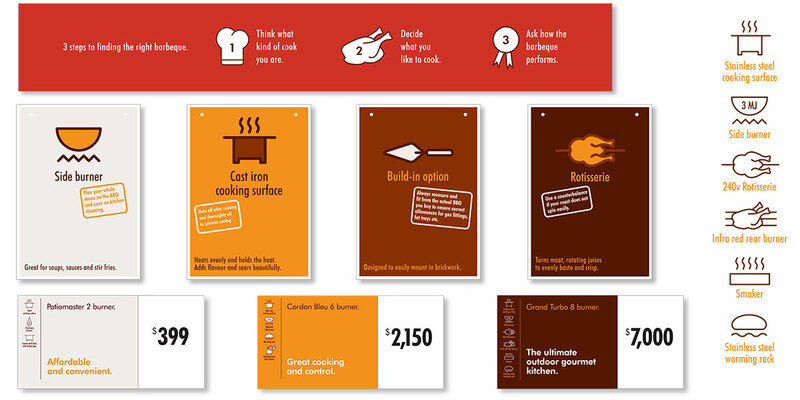 ‘How do you barbeque?’ This question was the guiding idea behind the Barbeques Galore store design produced in 2008 when I was a partner at Public Design Group. 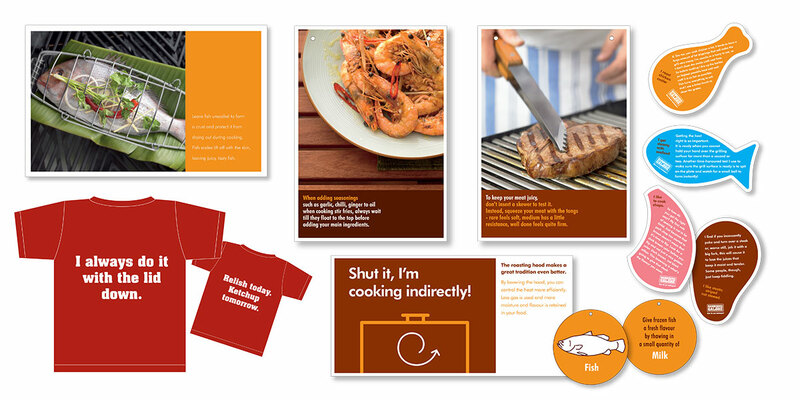 Although this project was completed some time ago it is still a good example of how design can be used to change shopping habits. 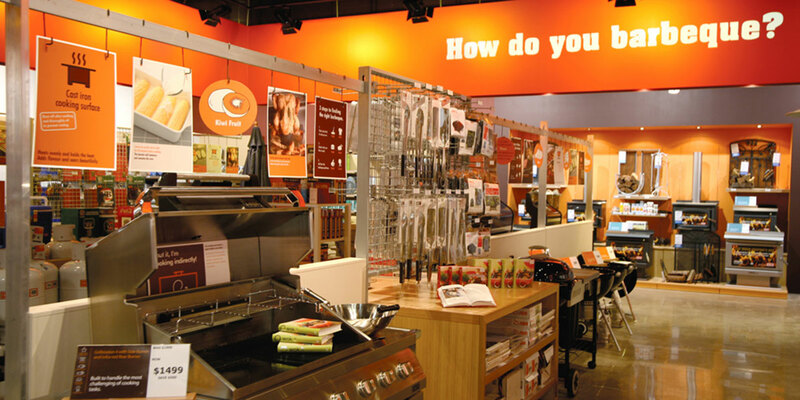 The design was focused on cooking with a barbeque – obvious, but before we started the project the store operated around price and how much customers were prepared to spend. 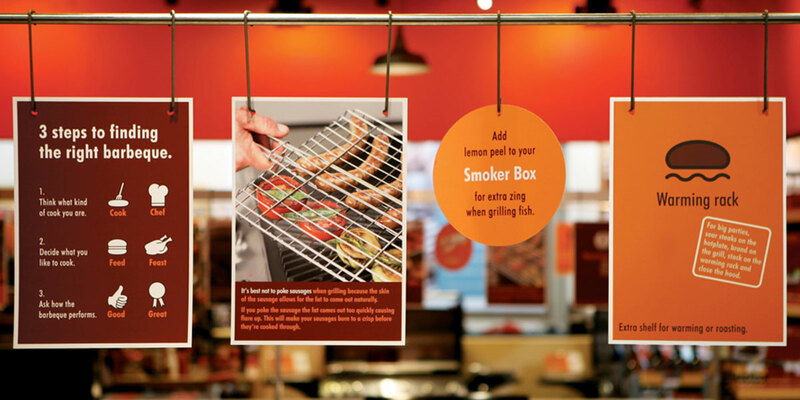 We displayed the barbeques according to their cooking ability and hung graphics above offering handy tips and hints to encourage customers to think about the barbeque as a hobby and to also give the staff some help when selling.